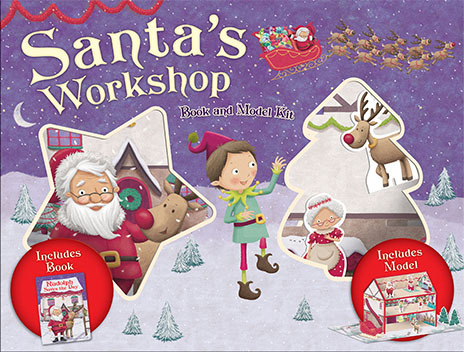 Children will love building their very own Santa’s workshop with three levels, complete with a floor mat and stand-up pieces of Santa, Mrs Claus and Santa’s sleigh. Also included is a Christmas storybook. It’s the day before Christmas and Santa has been struck down with a terrible flu! Who can help Santa? Who will save Christmas? Children will enjoy reading to find out if Christmas can be saved. Available in a box set or folder format. Build your very own Santa’s Workshop! Read your book, make up the play pieces of your favourite Christmas characters and play inside the workshop, or out in the snow with your very own play mat.